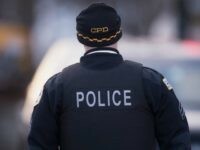 On Sunday, The Guardian reported the Chicago Police Department had made arrests for “under four percent” of the “nearly 2,000 non-fatal shooting incidents” from January 1 through August 28. 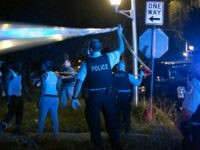 The Chicago Sun-Times reports that 13 were killed and another 52 were shot and wounded over the weekend. 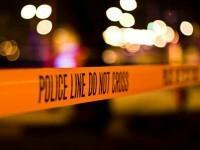 The Chicago Tribune reports that this brings the city’s homicide totals to 512 dead, with nearly four months left to go in 2016. 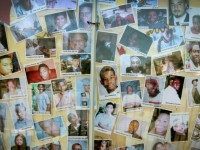 There were 468 homicides in Chicago throughout all of 2015. 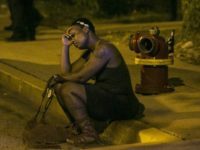 The violence in gun-controlled Chicago has now hit such levels that “nearly 12” people have been shot every day in 2016. 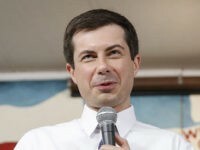 According to ABC News, this puts Chicago on track to tie–if not surpass–some high water marks for murder that the city hoped it would never see again. For example, the homicide rate “topped 600 in 2003”–a high point which is easily within reach this year. And the 513 killed in 2008 are almost certainly to be eclipsed by the end of 2016. 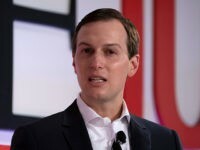 During an August 31 appearance on CNN’s New Day, former professional tennis player James Blake conceded that gangs are the real problem behind Chicago gun violence but said more gun control should be passed anyway. 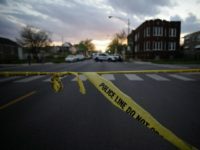 Fifty-seven people where shot and wounded and 10 were killed as another weekend came and went in gun-controlled Chicago. Between Friday evening and Monday morning, 52 people were shot in gun-controlled Chicago, nine of whom died. 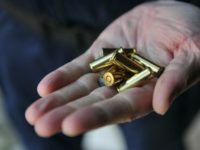 One month after saying he would not press for more gun control, Louisville Mayor Greg Fischer (D) is calling for the ability to break with the pro-gun attitude of Kentucky and enact more gun controls in the City of Louisville. 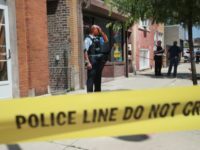 Since January 1, gun-controlled Chicago has had more homicides than Los Angeles and New York combined. 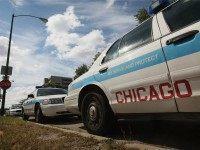 Another holiday brought another slaughter of innocents in heavily gun-controlled Chicago. 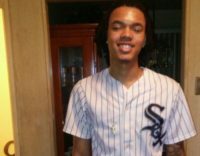 Fifty-six people were shot during Father’s Day weekend, and 13 of those shooting victims died. 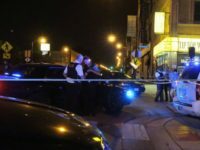 Between Thursday morning and 6:29 a.m. Friday, approximately 21 people were shot, 1 stabbed, and 1 killed in gun-controlled Chicago. 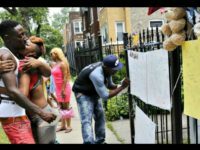 During the first ten days of 2016, “three times as many people were shot in Chicago” as were shot over that same period in 2015.